Samurai V2 : Funky shaped airhole, bottom and side airflow, beefy post holes should be able to fit whatever you want to build. HCigar Fodi v2 : A variety of colors, but I linked to the blue because it looks awesome. Auto-dripper/Genesis style, single coil (or dual vertical) and spitback protection. Alliance Fat Boy 46mm : Comes with a bucket of spare parts and enough space to fit a 100' spool of kanthals worth of coils. Resin Wide Bore Drip Tip : "Suitable for most of the 22mm diameter RBA atomizers" Looks awesome, not sure what all it will fit, anyone that has something similar to this want to chime in? 6 Piece Drip Tips in Acrylic : I like the swirl pattern and the shape looks interesting. Smoktech SMOK H-Priv : Interesting fire button/mechanism. Looks like the batteries are really easy to swap too. Velocity V2 Glass Top cap : May or may not come with airholes :) If it does, it might be cool to try out, otherwise just a piece of glass lol. Pilot Vape Coil Magician : Basically an 18350 screwdriver/coil jig. No battery indicator from what I can see, so you would have to manually check the battery. I'll be waiting for some reviews and a V2 before I even consider ordering. The dopest of LED shoes : Check your size here. Available in a lot of colors. Slow/Fast flash, strobe, LEDs change colors. Glow in the dark PET tape : Not even sure what to say here, this is just cool. The pictures of it on the Gundam models is an awesome idea for it. Mechanical Pencil : I know what you're thinking... "Seriously MSD? A Pencil??" But really, go look at this thing. If you still use a pencil, you need to check this out. 10xMicroSD to SATA : No... Just no... Unless you already have a ton of MicroSD cards laying around that are fair size that you aren't using for anything else, but even then, a super cheap SSD is going to perform better and be only slightly more. 50% off all Lightning Vapes Wires on Amazon : Order $20 worth of kanthal and never run out again. Don't forget to pick up some spool tamers on Amazon while you're there. Lots of new and interesting additions over this past week. Sorry for the delay this week. We had some crazy issues over the weekend that have caused me a ton of extra work on monday. GeekVape Avocado 24 : The Avocado we all know and love, in 24mm. Available in black and silver. Currently in pre-order status. TF-RDTA : Another pre-order sadly. This thing looks like it will be fantastic for high wattage vapers that want a tank. Oh me So Horney styled RDA : Velocity posts on steroids. More airflow than anyone one person should need. This thing would be stupid easy to build a ton of coils on, but wicking it... now thats the real challenge. AX1 Styled RDA : One of those RDAs with the crazy decks. Hastur V2 Styled RDA : Top airflow, velocity deck, spitback protection and small size. Ordered one. Transformers Styled RDTA : Why would you ever use a round tank, when you can use a square one?? Steam Tribe Boss Sub Ohm Tank : This looks promising. 3.5ml capactity. Comes with 0.5ohm coils and what looks to be a rebuildable coil head. Lip Gunk Magnet : 2 pieces, 2 styles. Looks neat. 100% guaranteed to catch and hold all the lip gunk. Jade + Stainless : 5 pack of random colors. I've always loved this shape driptip. Tugboat POM + SS Tips : All the different splatter colors to match whatever you have. Authentic Simeiyue SMY SDNA75 : Authentic Evolv 75W. The looks of this remind me of the Vaporsharks. Available in a variety of colors and finishes. Thanks /u/Emaciated_Walrus for the call out on coupon code: MAP for taking off $33.59. RX200 Front and Back Plates : In a variety of colors. Vapesoon Carrying Case : Looks like enough space for a box mod, a battery or 2 and maybe a bottle of liquid. Rebuilding starter kit : Clippers, mini ceramic tweezers, cotton pads, kanthal. At the $10 price, you won't find much cheaper to try out rebuilding unless you have a local shop that will let you use their stuff, or a buddy that will. Vape Bands by Iwodevape : Tons of styles. E-cig display pad: Looks like those giant mouse pads, but vape themed. Actually a pretty cool graphic they used. Mini Android Endoscope : I've always wanted to mess with one of these and at that price, I might just order one. 3x18650 Power Bank : Provide your own 18650s and good to go. Also doubles as a spare battery charger and carrier. I noticed that I labeled last weeks as 4-3 to 4-9, as a quick correction, it actually included new items all the way up until the 12th. Lote Styled RDTA : Dual coil RDTA. Looks like the authentic version also has options for a bottom PEI tank. FT version looks to just be a dripper. Le Zephyr in Black : Hopefully not a terrible coating that chips and peels. Genesis tank for anyone wondering. Goon Styled RDA : Not sure how I feel about the build deck on this one, but for really large wires/coils, it looks like you wouldn't have any issue clamping them down. Looks to have enough airflow for any crazy builds too. VIP Aluminum + Resin : Stupid text, awesome tips. If you can get past the "Happy to enjoy" printed on them, these look like solid tips. Wood and Stainless Long Tips : Not much to say here. A few different colors and 27.6mm length. Stainless + Glass : Looks like they added even more colors to that awesome SS + Glass tip from last week. And another style too. Nuke D-N-A 200 : Authentic DNA200. Supposedly 2700mah battery. I wouldn't trust that rating at all, but still very cool. The hot-swappable battery is probably the best part. Authentic Wismec Notch Coils : Yes, those coils. The ones that seem to be super hyped right now. Iwodevape "Notch Coil" Competitor? : Available in .4 and .6 from the drop down. Pictures don't have enough detail, but I'd love to compare these to the Wismec ones. 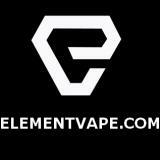 Even more styles of pre-made wire added : Alien, Fused Clapton, Tiger, Hive, Quad, you name it, they have it. Pre-made coils of all the pre-made wires : Not able to wrap your own coils? Too lazy? Here you go, any type of coil you can imagine. Leather "styled" protective cases for the TopBox Mini : Not much to say here... Looks good though. Not quite the same, but a pretty good clone. You would be hard pressed to tell the differences! So they took the Velocity.... and added a bottom tank to it? Changing the drip tip game. Velocity posts, bottom airflow with tetris piece airholes. Drip Tip sold separate here. No deck pictures or anything else, but an interesting looking atty for sure. Currently in pre-order, but this thing looks interesting. 5ml capacity and easily replaceable coils might make this a winner. I love the shape of these. 4 different finishes to match any atty. Looks fantastic. Ordered one of these for myself. Love Chess? Like Vaping? This is for you. Tons of colors and 5 packs in the drop down. Touchscreen, dual 18650, 200w, $62? Looks neat, but I bet the battery life is almost nothing at 200W and using the touch screen. HCigar VT133 Battery Covers in a variety of colors. For holding Attys/Mech/Pens. Cheaper than a vape stand if you only need to hold a few things. Tons of colors! These things are cool since you can use them to unscrew stuck attys/atty bits too. Looks like FastTech has some interesting "boutique" wires. Check the drop down for a bunch of styles.